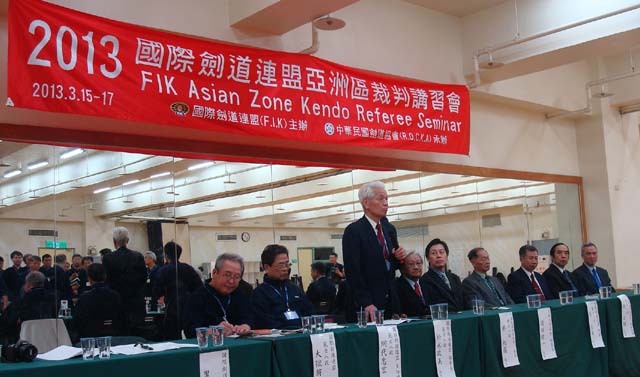 FIK Asian Zone Referee Seminar was held in Taipei on 16th and 17th Mar 2013. FIK Asia-Zone Kendo Referee Seminar was held on March 16 and 17, 2013 at Taiwan University Gym in Taipei in Taiwan. The Officials and Instructors from FIK were as follows. 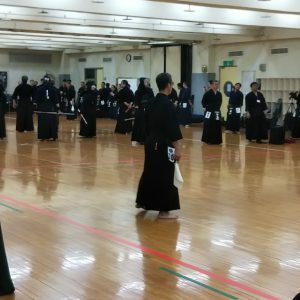 Number of trainee was 76 from 7 countries of Japan, Korea, Hong Kong, New Zealand, China, Chinese Taipei and Australia, and total attendee was more than 100 including the match players and local Kendo staffs. 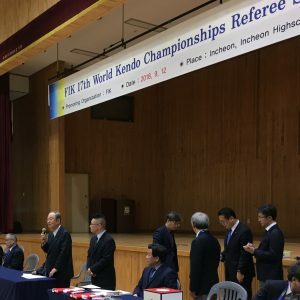 Following to the opening message by Mr. Wu president of ROCKA, FIK vice president Matsunaga sensei made a speech, and head instructor Ajiro sensei made a speech what is the important point for the refereeing. 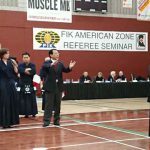 And the movement training session of the refereeing was started by Otake sensei. The main point of this seminar was to clarify and ascertain Yukodatotsu and detail of refereeing. 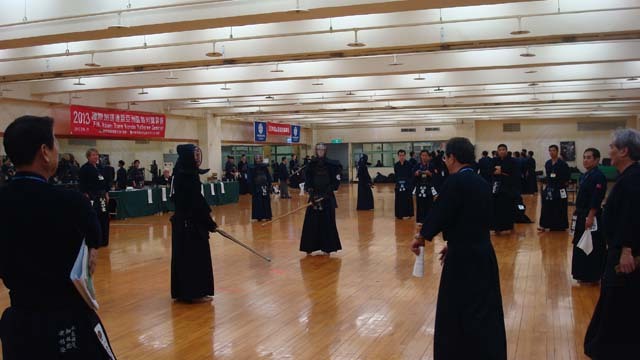 The seminar was conducted by 2 court, and the match players from high school, university and company in Taipei were performed Kendo matches at the 2 court. All of referee trainees were learned refereeing.